It's your last chance to vote for the 2018 E! People's Choice Awards! That's right, you only have until the end of the day today—11:59 p.m. 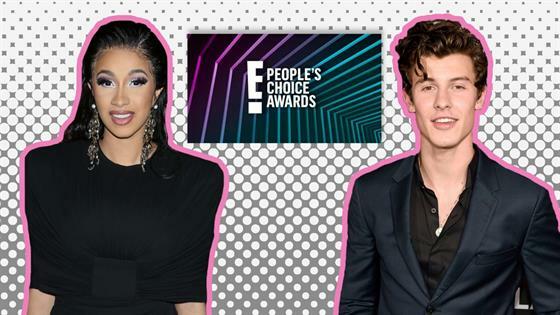 ET tonight to be exact—to pick all of your favorite movies, TV shows, musicians and pop culture moments to win at this year's People's Choice Awards. Each of the 43 categories have already been reduced from 12 nominees to five fan-voted finalists who are competing to take home each award and the finalists need your help to win. Don't let your voice get lost in the shuffle, instead get your votes in ASAP to make sure your favorite finalists walk away with trophies. With only hours left in the voting window, it's time to weigh on whether you think A Quiet Place or Black Panther should take home the trophy for Movie of the Year, or if Taylor Swift or Cardi B is your pick for Female Artist of 2018. We know these decisions can be really tough, but you can't wait any longer to vote if you want your voice to be counted towards this year's PCAs. It's seriously go time and we know you want to vote, so why not just do it now? Remember, you can vote 25 times today for each category per email address before voting closes once and for all tonight, so don't let your favorites go unnoticed at the November award show. Once you do vote, make sure to mark your calendars for the actual event. You can find out if your picks become winners in less than a month when the People's Choice Awards airs live on E! on Sunday, Nov. 11. OK, enough talking, get to voting!